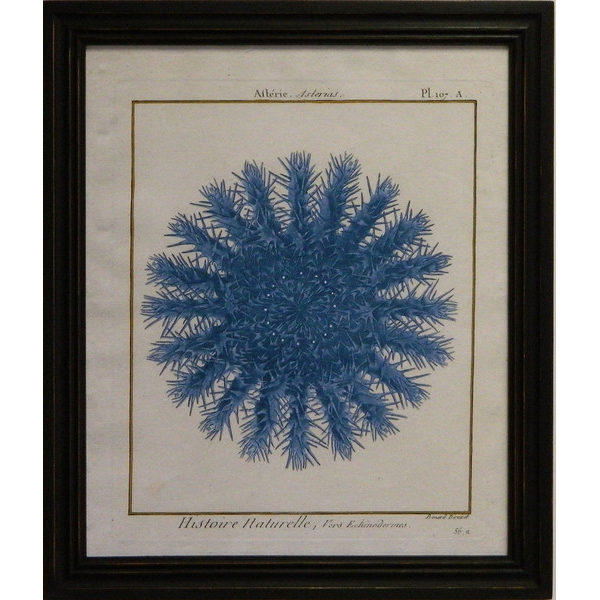 Reproductions from Hand-Colored Original Engravings by Jean-Baptise Lamarck 1782. Framed in Antique Black Hardwood. Prints in Original Red or Blue.